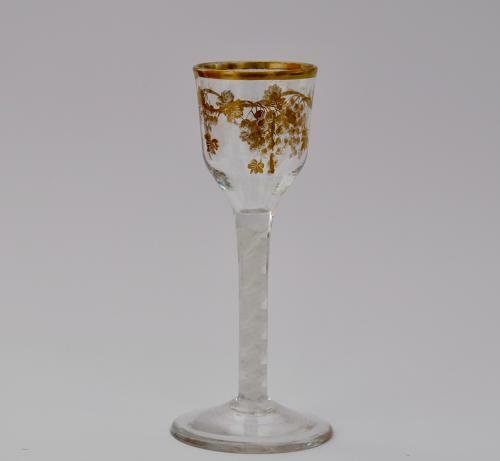 Wine glass with gilt decoration James Giles C1765. Wine glass, the ogee bowl gilded with meandering vine supporting three bunches of grapes set on a double series opaque twist stem and plain conical foot. Workshops of James Giles C1765. Condition: Very good with no restoration. The gilt decoration is original and in very good condition.